A new calendar of events for 2019 has been launched by Scotland’s most innovative food hub with the popular Bowhouse Market Weekends set to resume in March with a series of spring themed events. Bowhouse will welcome spring with a New Beginnings themed Market Weekend on the 9th and 10th of March. Bowhouse’s resident producers will be joined in the covered market area by some of Scotland’s best food and drink stalls, selling everything from meat and seafood, to cheese and charcuterie. While charity partner Marie Curie will have a host of spring activities, including daffodil planting, for everyone to get involved with. On 13th and 14th April the Bowhouse Market Weekend will be a celebration of Easter, with a focus on fish and shellfish. Scotland boasts some of the best seafood in the world, and local fisheries and producers from the West Coast to the East Neuk of Fife will take centre stage at Bowhouse’s food market, with some seaside themed activities from charity partner Anstruther Improvements. At May’s market, Bowhouse will mark the end of spring and the beginning of warmer weather, with a Market Weekend themed around the soft fruits for which Fife is famous, on Saturday 11th and Sunday 12th May. Expect plenty of fresh produce from berry fields on Bowhouse’s doorstep in Fife and beyond. As at previous Market Weekends, the markets will also feature a street food quarter, selling an ever-changing roster of the most innovative and delicious food and drink to visitors all weekend, accompanied by a soundtrack of live music. Bowhouse Market Weekends are free to attend. 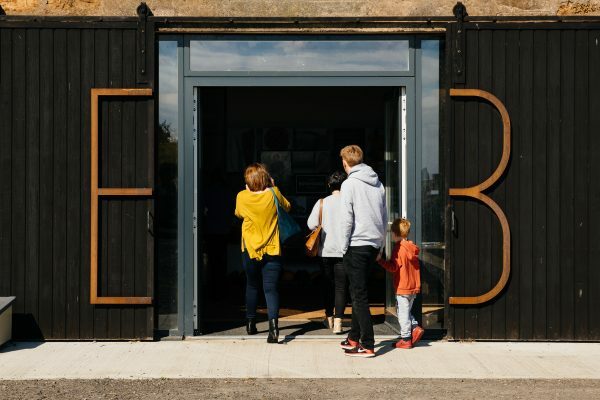 Bowhouse opened on the Balcaskie Estate in the East Neuk of Fife in summer 2017 as a makers hub for local food producers. Since then the space has grown and is now home to eight independent food businesses permanently based there, working to provide the missing link between farm and fork; as well as attracting thousands of visitors to its monthly Market Weekends. Bowhouse continues to attract a crowd of food-curious people from across Scotland and travel to the venue is easy. Train stations at Kirkcaldy and Leuchars are stops on the main East Coast Mainline with regular services to Edinburgh and Glasgow. Stagecoach bus services 95 (Leven–St Andrews) and X60 (Edinburgh–St Andrews) stop nearby. The popular seaside holiday town of Elie is under two miles away and a popular cycle ride along the Fife Coastal Path. For media enquiries, images or interviews, please contact Martha Bryce: [email protected] or 07905 761 525. Bowhouse Market Weekend is supported by Balcaskie Estate and Food from Fife. Market Weekends take place on Saturday and Sunday of the second weekend of each month. 2019 dates are as follows: 9th/10th March; 13th/14th April; 11th/12th May; 8th/9th June; 13th/14th July; 10th/11th August; 14th/15th September; 12th/13th October; 9th/10th November; and 14th/15th December.